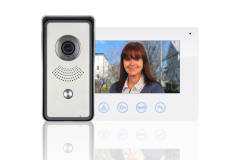 Whether you live in a terraced house, bungalow, detached property, semi detached house or three storey town house, have you considered how much easier answering the door would be if you could do so without having to go to the door? 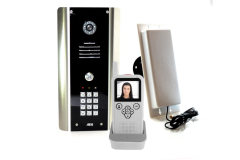 How many times have you heard the doorbell ring, or a knock on the door, and wanted to know who it was without getting spotted (we all have that neighbour or door-to-door salesperson we really don't want to speak to!) 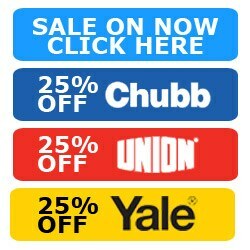 only to get caught out by the curtain twitch? 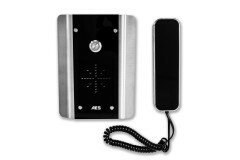 Perhaps you are looking to make it easier to open the door to visitors as mobility issues make it more difficult to do easily and quickly. 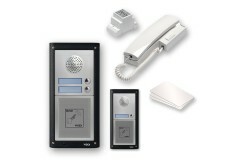 A door entry system or intercom is the ideal solution! 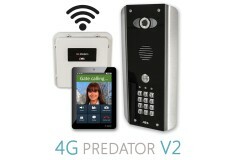 Perhaps you just want a standalone system to be able to see or speak to a caller at the door before deciding to go to the door and let them in. 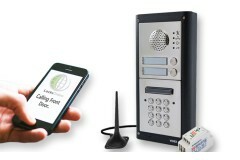 Maybe you want to create a complete access control system that would allow you to see or speak to your caller, and then let them in with the touch of a button. 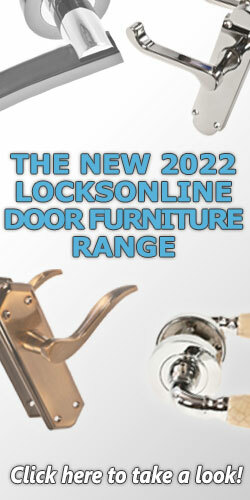 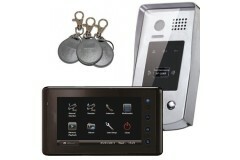 If you are looking for an intercom system or door entry system for you home, then this is the place to look. 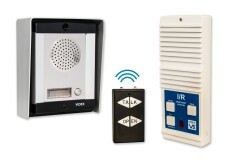 With a range of door entry systems and intercoms including audio only, video calling, and wireless intercom systems, there's plenty here to choose from! 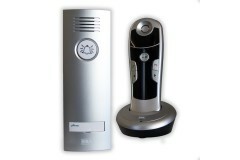 Within the range here we have options for wall mounted handsets (audio and visual), cordless handsets, and even systems that can work with your smartphone or tablet - meaning you can see who is at the door, even if you're not at home! 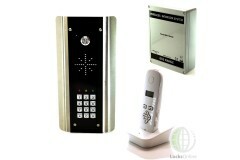 If you're looking to simply make life easier for yourself or a client, or have a relative who perhap..
Utilising the power of the mobile GSM network, this door entry system combines proximity access and .. 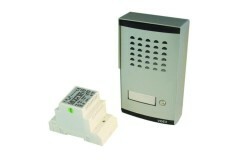 Remote door entry for the elderly or disabled is becoming more and more popular as the industry deve..
Now available with a hands-free internal speech panel which can be mounted on a wall or stationed at.. 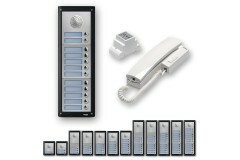 Available with up to twelve buttons, each with illuminated name-plates to help the visitor choose th.. 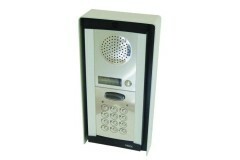 The 'Slim' Intercom is incredibly stylish with a sleek internal handset that is comparable to a mode..
With keypad code entry as well as up to 12 intercom buttons, these Videx Professional Audio Intercom..
Offering key-card and fob access for occupants as well as up to 2 call-buttons for visitors to call ..
Use the power of your mobile phone to unlock your front door, and speak to visitors while you're awa.. 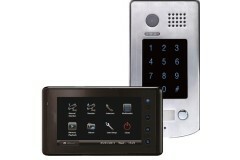 Combining the power of your mobile phone plus a digital pin-code keypad to unlock your front door,th..
Videx ESK 1S Surface mounted panel. 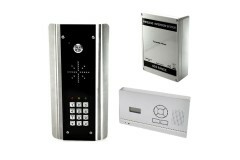 One way door entry kit. 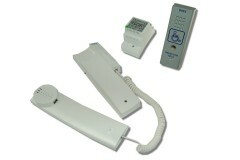 Supports up to 2 additional handsets. 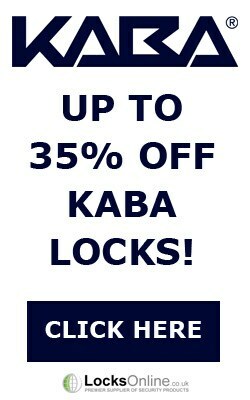 K.. 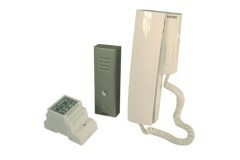 This slimline audio intercom kit is ideal for installation in areas where there is limited space nex.. 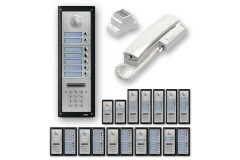 The Videx Slim Line Surface Audio Entry 1 Way slim line audio kit is ideal for applications with lim.. 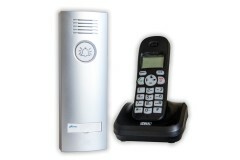 This wireless intercom system comes with a mains powered controller (The device that sends signals t..
Open your door with your mobile phone! 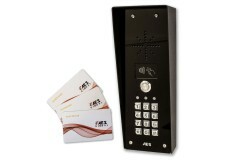 At last, it has been a long time coming for the access cont.. 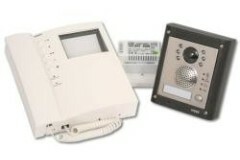 This kit is a wireless intercom system. 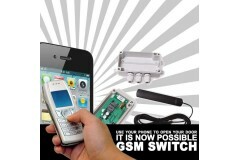 This signal is maintained by 2 different wireless technologi.. 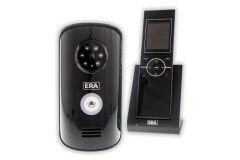 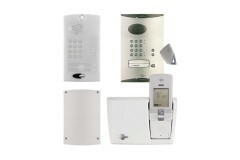 This kit is a complete door entry intercom system with wireless indoor handset and mains powered bas.. 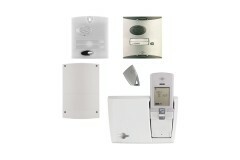 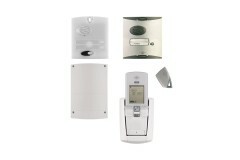 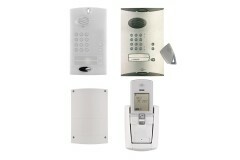 This is a total wireless door entry system that comes supplied with a lithium powered base station s.. The Videx 8000 Series Audio Door Entry Kits offer a great range of options from 1 Door up to 12 Door..
Videx 8K1 audio kit allows one apartment to control one main door. 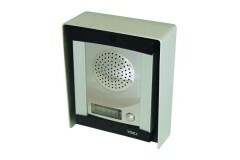 If required the occupant can then..
Videx 8K1 audio kit allows one apartment to control one main door also has a coded entry. 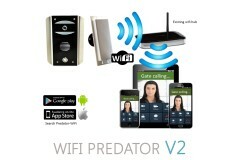 If require.. 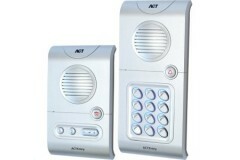 The ACTentry A5 is a door and or gate entry system comprising an audio door panel with integrated di..
Quick and easy to install, this wireless front door audio intercom kit lets you speak to the person ..
Utilising modern DECT wireless technology, this digital signal provides a cleaner transmission whils..